Will be approved by thee. Has been well sung before. Are yours, dear sir, not mine. Will ever grow to sheep. Though playing thrice a week. We shall be direly "off." For I am off to Troon. I am two verses short. I'm blowed if I'll employ him. This week’s poem is by an English golfing poet though his name is unknown. It appeared in a book called Mr. Punch on the Links which consists of golf stories, cartoons, and poems from the British magazine “Punch.” The book was published around 1930. “Punch,” a magazine of humour and satire, ran from 1841 until its closure in 2002. 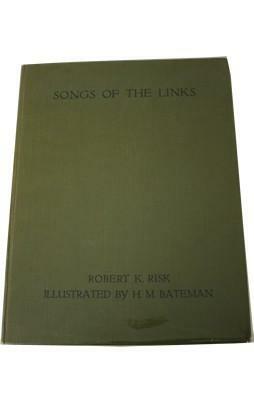 The poem provides a gentle warning to two kinds of golfers; the first who is only too willing to tell it all after a match and the second who give the first the opportunity. Which you surmounted, pray accept my thanks. Or where your victim finally was drowned. To a mere casual listener like me. You lifted from the ground under repair. To know you’ve cured that tendency to slice. 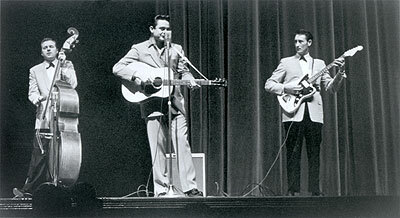 I saw Johnny Cash and the original Tennessee Two live in the late ’50’s. I was a fan then and still am. Michael Streissguth, in Johnny Cash: the biography, tells us that Cash had a vacation home in Jamaica on a golf course. He didn’t play but he did ride around on in his golf cart from time to time and “swipe golf balls from the rich golfers.” He’d give “buckets full” of balls to poor Jamaican kids so they could sell them back to the golfers! A number of singers were or are golfers. Bing Crosby heads a list that includes Dean Martin, Andy Williams, Don Cherry, Glen Campbell, Vince Gill, Kenny G, Justin Timberlake, Anne Murray, Celine Dion and many others. But what if Johnny Cash had been a golfer. My thoughts below. Seein’ the line instead of walkin’ it. Shootin’ par instead of guns. Two men in black instead of one. Puttin’ as well as pickin’. A “Great Speckled Bird” ─ always his hope. And how they were treated. And their chances of every playin’. It’s too bad Johnny Cash never golfed. 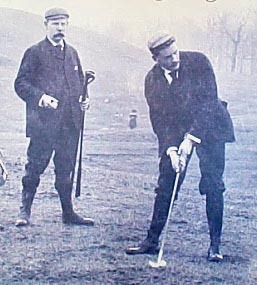 A few weeks ago I wrote a Post about the switch from match to stroke play that occurred about 100 years ago. More recently I came across the following statement by a CBS Sports writer (originally from England) named Ross Devonport. Match play. Ahhh…the purest form of golf. There’s nothing better than watching to guys going head-to-head over 18 or 36 holes, taking risks instead of being worried about not making the cut and playing conservatively. I actually think Devonport got it wrong. Watching the Accenture on TV last week was, by the last round, reduced to watching a few shots squeezed in between advertisements. What’s better would be to engage in a friendly game of match play from time to time and leave the score cards with the starter. But when was the last time someone came up to you at your local course and asked “do you want a match?” Maybe in Scotland, but not in the U.S. Or am I wrong? When he hoarsely crooked, “Do you want a match?”—and the stakes were half-a-crown. So I gave him a half instead of a third, with a couple of bisques thrown in. He topped his second and fluffed his third, then holed his approach for a four. “The match!” he moaned with a sickly smile and “Double or quits,” I said. To the “nineteenth hole,” four half-crowns “up” and—SYMPATHY BE BLOWED! 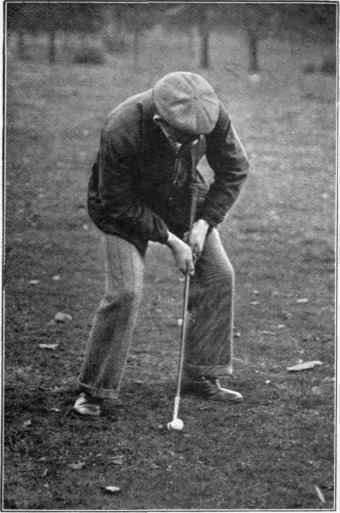 The poem originally came from the magazine Punch, and appeared in The American Golfer on May 7, 1921. The term “bisque” is a handicap stroke in match play that can be taken at any hole nominated by the player who receives it. 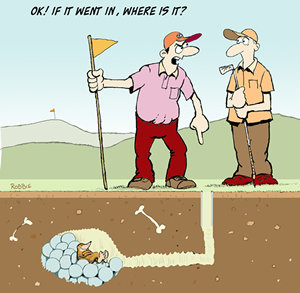 And “the bye” refers to a hole or holes remaining if the match is won before the 18th hole.